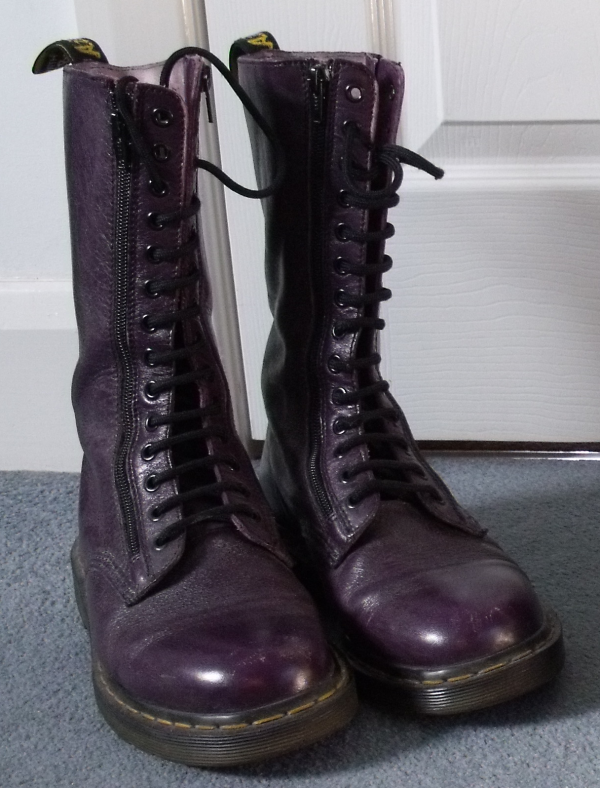 You can read the story of how I fell in love with boots and acquired these in my post this Dr Martens obsession, but I didn't really talk much about how great I feel when I wear these. They're the comfiest boots I own. I feel like they're part of my body when I put them on, they're so perfectly broken in. Whether I wear them with jeggings or stripy trousers, a short dress or a long skirt, I feel like the queen of the world in these. 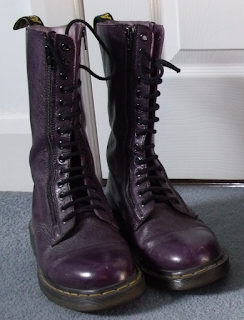 Like nothing can really hurt my feelings, when I'm wearing such beautiful boots. Or, at least, that if it did, I could just look down at my feet, carry on walking, and feel better. When I put them on I instantly feel more 'me' - more confident, more capable, more comfortable in my skin. I love when your shoes get totally broken in and you can skip around and not even think about them!